You don't have to paddle alone! Tandem kayaks enjoy great efficiencies of thrust-to-weight and thrust-to-wetted-surface ratios, so they move fast without much energy output. You can carry a ton of gear, making tandems perfect expedition machines. Add kids, dogs, or a picnic basket to the Chesapeake Triple for a fun day on the water. Win every race in the Chesapeake Sport Tandem or Guillemot Fast Double. 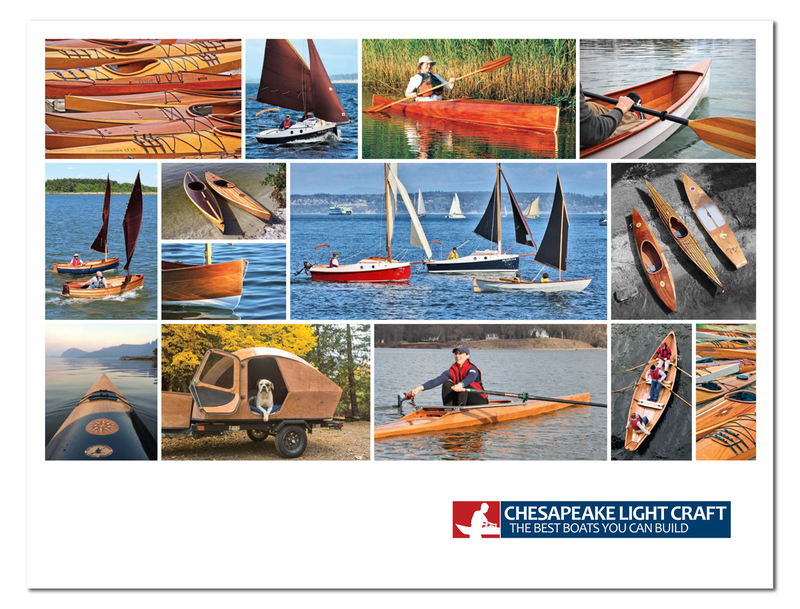 All of these make a great basis for a sailing kayak with our CLC SailRig.